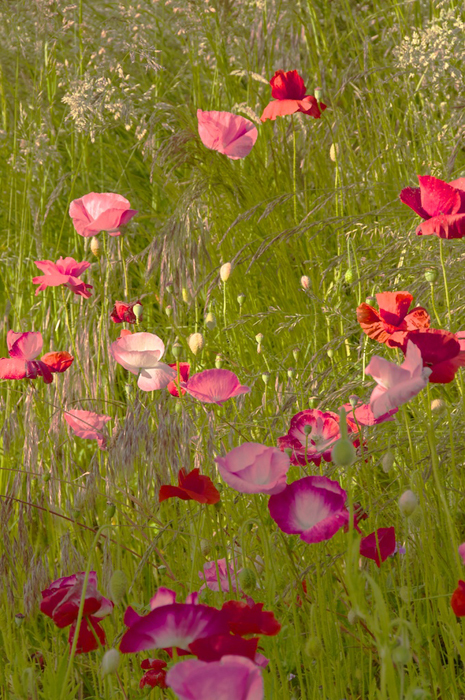 This impression shows a cluster of poppies receiving a soft kiss of sunshine during a late afternoon sun break. The red poppy is the flower of remembrance made famous in the poem: In Flanders Fields during WWI. Pink poppies have the meaning: good health.